With the reopening of the federal government, USDA and other affected agencies have resumed normal operations with department officials focused on implementing the 2018 farm bill. Deputy Secretary of Agriculture Stephen Censky is leading the implementation effort. 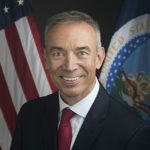 Deputy Secretary Censky, the Office of the General Counsel (OGC), the Office of Budget and Program Analysis (OBPA), the Office of the Chief Economist, and other USDA Undersecretaries have formed a Farm Bill Implementation Working Group in USDA to develop timelines for decision-making, issue new guidelines and regulations, and begin signups. Additionally, each agency is constructing a table of implementation steps and needs for each program and provision in its jurisdiction. For UEP, the top farm bill implementation priority remains to implement the new animal agriculture pest and disease program. USDA is already contemplating how that program might be used to combat virulent Newcastle outbreaks in California. UEP’s team will be working withUSDA to ensure that the program is responsive to poultry pest and disease outbreaks.